The USC Thornton Musician's Wellness Initiative presents a wellness session on the overview of the anatomy and physiology of hearing and how loud sound damages the ear, which affects hearing. The session will also touch on how to use hearing protective devices to prevent damage and will review maximum daily exposure times for safe practice as well as the effects of “hidden hearing loss." Rebecca Lewis, Au.D. is an assistant professor of clinical otolaryngology in the Keck School of Medicine of USC. 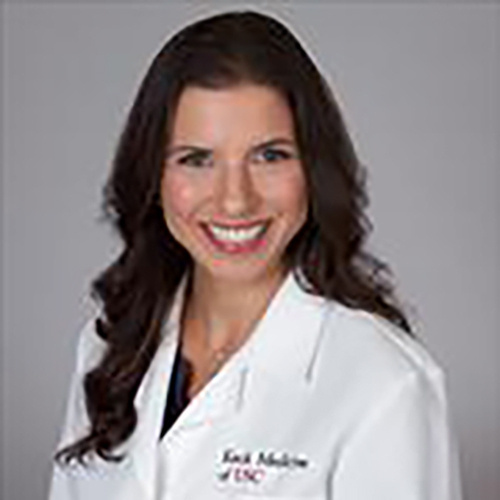 She graduated from Vanderbilt University and completed a combined pediatric/adult externship between the West Los Angeles Veteran’s Administration Medical Center and the House Ear Care Center. Subsequently, she held positions as a Senior Audiologist at UCLA Health, as an Educational Audiologist at The Learning Center for the Deaf in Framingham, MA and as an adult Cochlear Implant Audiologist at the House Ear Clinic. Her broad range of skills allows her to provide diagnostic, hearing aid, and cochlear implant services across the lifespan.